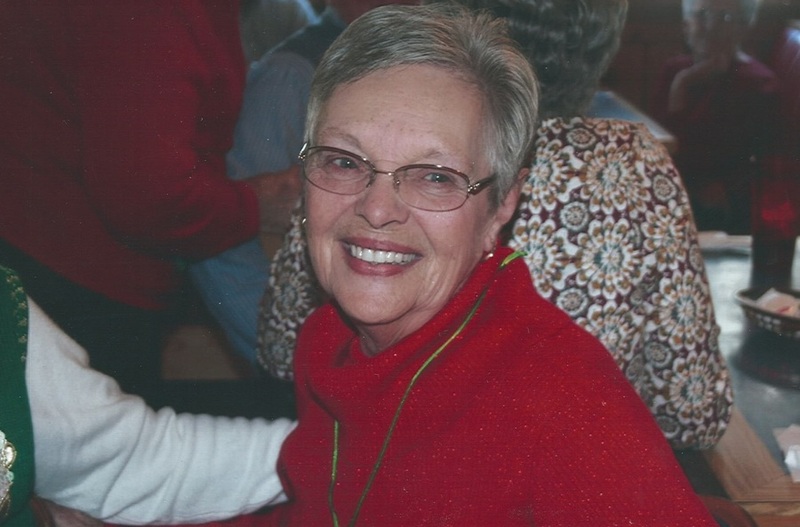 Linda Groce Couch, 78 of Charlotte, passed away Sunday, November 25, 2018 at her home surrounded by her family. Born in Spartanburg on July 21, 1940. Linda was the daughter of the late Thomas and Jewel (Griffin) Gross A longtime Charlotte resident, Mrs.Couch was an active and devoted member of Hickory Grove UMC where she was a meber of the Music Makers and the Epworth Sunday School Class. Besides her parents, Linda was preceded in death by her husband Kennedy Dean Couch and their daughter Linda Ann Couch. Survivors include her children Pamela Jane Cook, Jeffrey Thomas Couch (Agnes Cook), Michael Kennedy Couch, Lisa Jewel Clark and Kimrey Jewel Clark as well several grandchildren & great grandchildren. Visitation will be held Thursday, November 29th from 10-11 AM at Hickory Grove UMC, 6401 Hickory Grove Rd, Charlotte, with a service to follow at 11AM. Memorials may be made to the church. For Linda Groce Couch Dying, Christ destroyed our death. Rising, Christ restored our life. Christ will come again in glory. so in Christ may Linda Groce Couch be clothed with glory. that as we shrink before the mystery of death, we may see the light of eternity. and that nothing in life or in death will be able to separate us from your great love in Christ Jesus our Lord. Amen. Comfort, 0 comfort my people, says your God. If I speak in the tongues of mortals and of angels, but do not have love, I am a noisy gong or a clanging cymbal. And if I have prophetic powers, and understand all mysteries and all knowledge, and if I have all faith, so as to remove mountains, but do not have love, I am nothing. If I give away all my possessions, and if I hand over my body so that I may boast,laJ but do not have love, I gain nothing. Love is patient; love is kind; love is not envious or boastful or arrogant or rude. It does not insist on its own way; it is not irritable or resentful; a it does not rejoice in wrongdoing, but rejoices in the truth. It bears all things, believes all things, hopes all things, endures all things. Love never ends. But as for prophecies, they will come to an end; as for tongues, they will cease; as for knowledge, it will come to an end. For we know only in part, and we prophesy only in part; but when the complete comes, the partial will come to an end. When I was a child, I spoke like a child, I thought like a child, I reasoned like a child; when I became an adult, I put an end to childish ways. For now we see in a mirror, dimly,lbJ but then we will see face to face. Now I know only in part; then I will know fully, even as I have been fully known. And now faith, hope, and love abide, these three; and the greatest of these is love. Linda Groce Couch born July 21, 1940 and died on Sunday, November 25, 2018. Linda wore many hats and functioned in many roles. She was a daughter, a wife, a mother, a grandmother, a great grandmother, a mother-in-law, a neighbor, a church member, a student in Sunday school class, a prayer in the Tuesday morning prayer breakfast, a cook in the prayer breakfast, a friend, and a beloved child of God. In all of these roles and others that I did not mention, Linda fulfilled them with excellence, grace, and love. She moved in these roles and fulfilled them because she loved being a part of them. She enjoyed the fellowship. She enjoyed extending the hospitality of Jesus. She enjoyed allowing God to use her to bless others. She enjoyed sharing with those in the faith who lived out a mature faith in which she could see the presence of the Lord in their lives. Linda wanted to grow in her faith, her understanding of God, and in her walk with God. She knew that God loved her, and she wanted to reflect that love which God had for her to others. Linda loved her family and she knew that her family loved her. She knew that her family was just a call or a text away. She loved you and cared for you when you were unable to love and to care for yourselves. You honored Linda by caring for her when she needed your care. You journeyed with her as she made this journey through sickness, and with death. You rearranged your lives and your schedules so that you could care for her. You attempted to live each moment that you had with Linda to their fullest. You would have continued to do what you needed to do to care for her. She knew that you loved her, and you knew that she loved you. The best thing that you can do to honor her is to be all right. She told you this, and she shared this with me. She wants you to love her, to remember her, to let those memories bless you. She wants you to live your lives to their fullest, and to the glory of God. Linda Groce Couch lived her life to the glory of God, and to the blessing of others. She understood that she was at her best when we collaborated with God's Spirit and God's people. She understood that as she reached out to others, God gave her joy. She reached out to others before she became ill. She attempted to be a good neighbor, and to be a good steward of the life God gave to her. She was active in the ministry of this church. She sat on that second pew every Sunday morning at 9:15. She participated in the Music Makers of this Church. She allowed God to use her to bless the lives of others. When she discovered that she was ill, she did not become bitter. She did not ask God or herself, why. She trusted in God. From the first day she told me about her illness until the last time she spoke to me, she told me she had peace. Because she had a peace that God gave to her, she could wait on the Lord. She could trust in God. She could anticipate that God had something in store for her that was better than what she was experiencing. She could run her race of faith with patience. She could run it trusting that God would not abandon her. God gave her faith, grace, hope, and love. God eased her pains and God held Linda close. God reminded Linda that God loved her, and she was safe in God's love and presence. God reminded her that she was a beloved child of God. Because of God's great love for Linda, on Sunday afternoon God allowed Linda to enter into the fullest of God's love. Because Linda's body was wearing out, God allowed Linda to mount up with the wings like an eagle. She was able to run and not grow weary. She was able to walk and not faint. No longer could she see through a glass that was dim, but she was able to see clearly. Her faith became sight. She did not have to wait for her pastor, her mentors, or any of us whom she trusted to see what God was doing. She could see and understand clearly. I celebrate this m01ning that Linda's love for God, her love for her family, and her love for her neighbors did not end with her death on Sunday afte1noon. Her love for God continues to grow. Her love for her family continues to grow. Her love for her neighbors continue to grow. Our love for Linda continues to grow. Death could not destroy the love, nor can it separates us from the love. 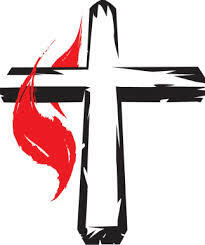 Therefore, in the words of Paul, "now abides these three; faith, hope, and love. The greatest of these are love. God of us all, your love never ends. When all else fails, you still are God. We pray to you for one another in our need, and for all, anywhere, who mourn with us this day. To those who doubt, give light; to those who are weak, strength; to all who have sinned, mercy; to all who sorrow, your peace. Keep true in us the love with which we hold one another. In all our ways, we trust you. 0 God, all that you have given us is yours. As first you gave Linda Groce Couch to us, now we give Linda Groce Couch back to you. Receive Linda Groce Couch into the arms of your mercy. Raise Linda Groce Couch up with all your people. Receive us also, and raise us into a new life. Help us so to love and serve you in this world that we may enter into your joy in the world to come. Amen. The peace of God which passes all understanding keep your hearts and minds in the Knowledge and love of God, and of his Son Jesus Christ our Lord. And the blessing of God Almighty, the Father, Son, and Holy Spirit, be among you and remain with you always. Amen.